One of my research interests is in the creation of “intelligent” meeting spaces for interaction between people, systems and the environment. The programme is called the “I-Room”. 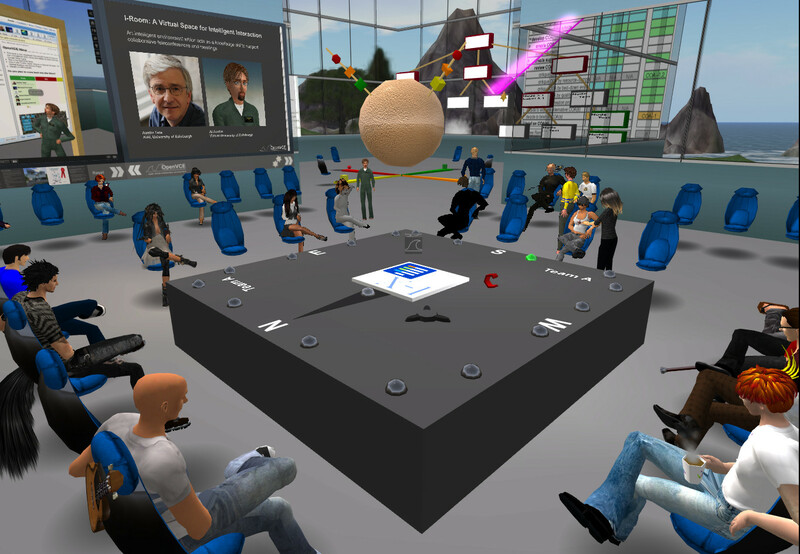 An I-Room is a meeting space for collaboration and can be provided in virtual worlds such as Second Life and OpenSim. It is designed for brain storming style meetings and as an operations centre. 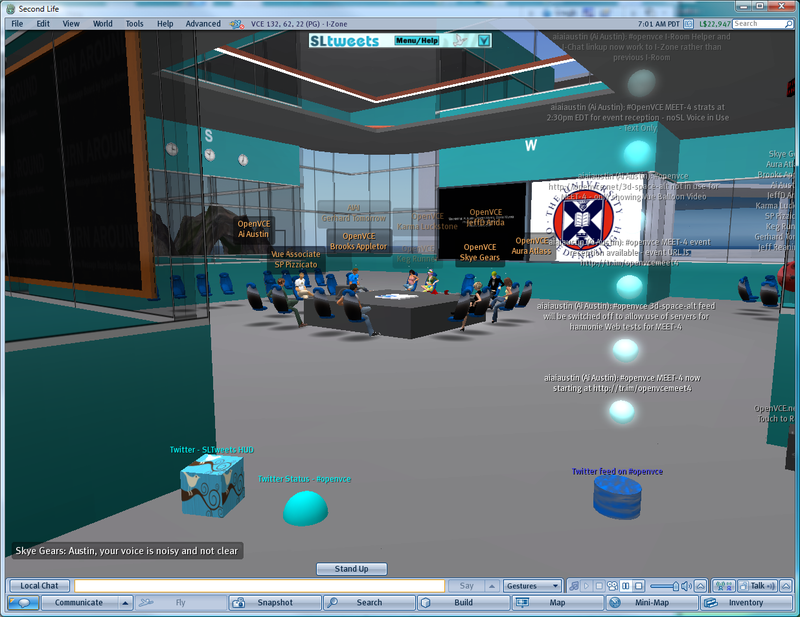 I-Rooms are used in the I-X/I-Room research on intelligent collaborative and task support environments at AIAI, School of Informatics, The University of Edinburgh. 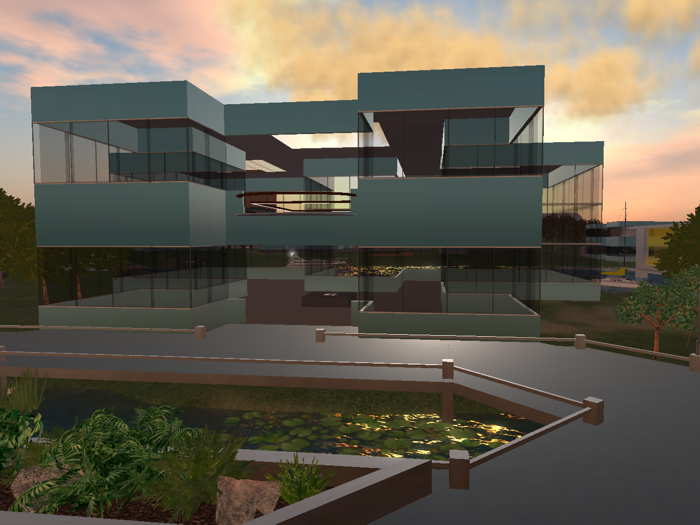 The building and contents are freely available via the Second Life Marketplace, on the Vue region in Second Life, in the OpenVCE region on either the Openvue grid or on the OSGrid (both OpenSimualator-based). 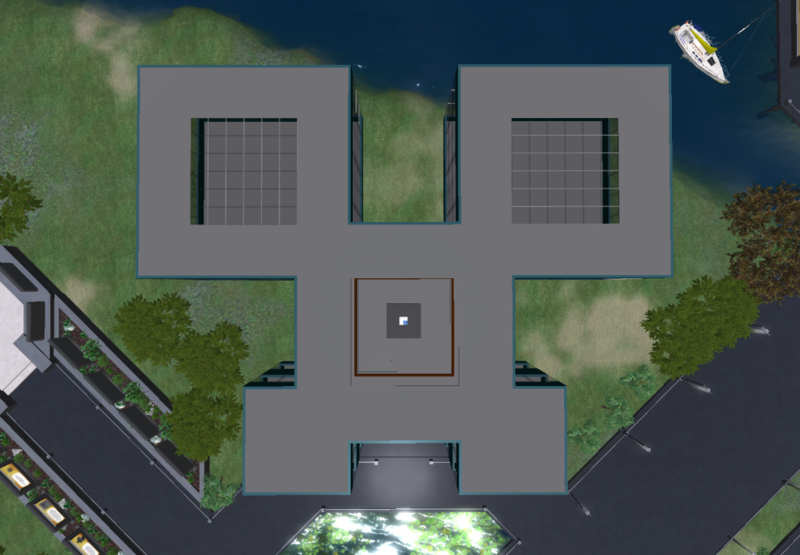 I-Rooms are available in Second Life and Opensim. An I-Room provides a two storey building with central area and four work zones, designed for collaborative and brain storming style meetings. 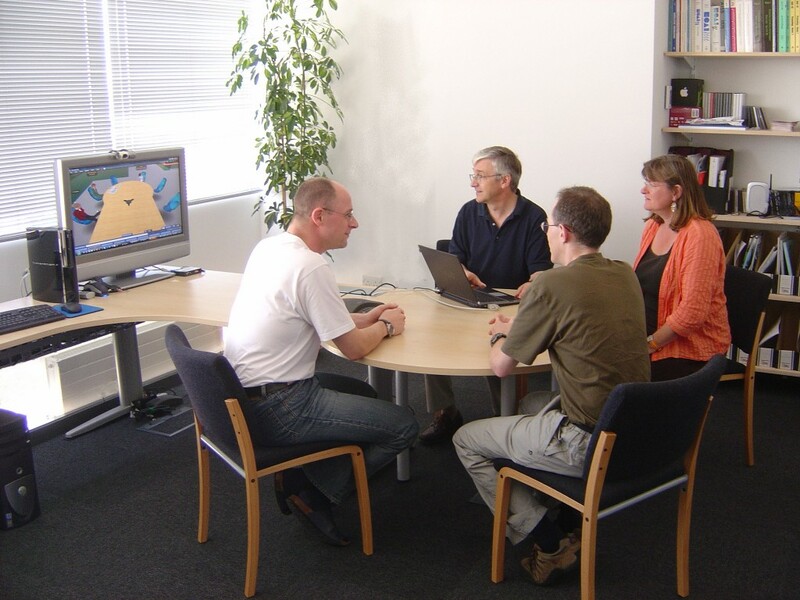 An I-Room can be used an a rapidly deployed operations center for example. Plenty of wall space is available for displays and gadgets. Each of the four corners can easily be converted to a small two storey block, or a larger double height block. The I-Room style buildings are used in the I-X/I-Room research on intelligent collaborative and task support environments at AIAI, The University of Edinburgh. Tate, A., Chen-Burger, Y-H., Dalton, J., Potter, S., Richardson, D., Stader, J., Wickler, G., Bankier, I., Walton, C. and William, P.G. 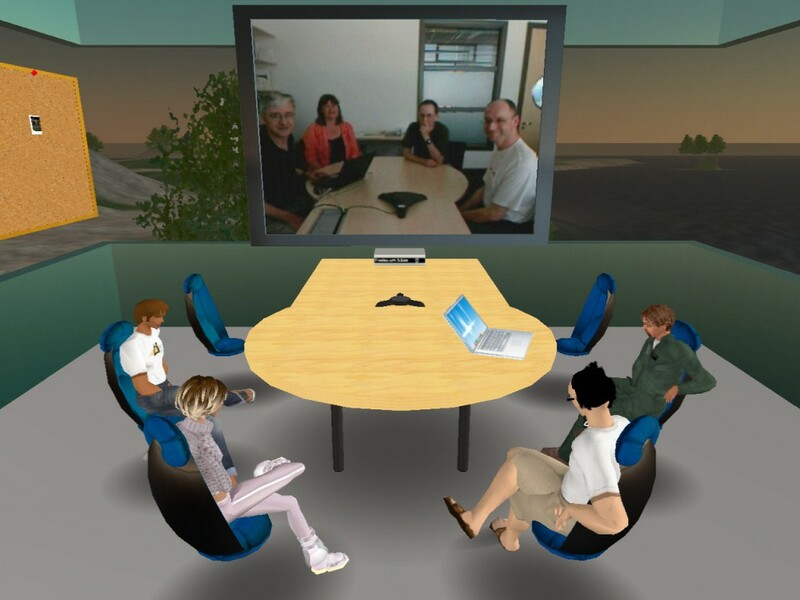 (2010) I-Room: A Virtual Space for Intelligent Interaction, IEEE Intelligent Systems, July-August 2010, Vol. 25, No. 4, pp 62-71. IEEE Computer Society. 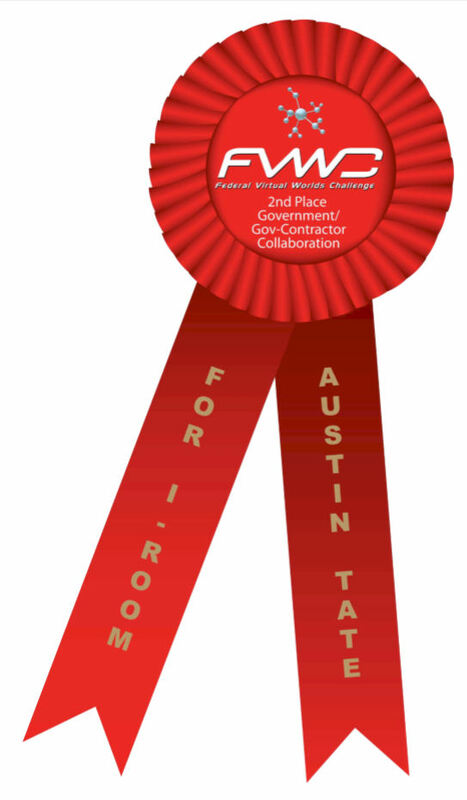 This entry was posted in IDEL11, Second Life, Virtual World and tagged FCVW, I-Room, OpenSim, Second Life. Bookmark the permalink.